rebecca june: A Girl Can Dream Can't She? 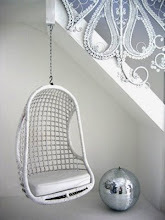 Is it possible for one space to have everything a girl can want? YES! 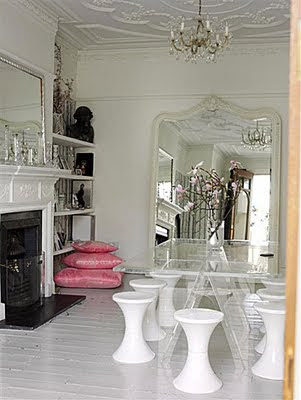 From the ornate ceiling to the glossy white painted floors this chic dining room is calling my name! I cannot even believe my eyes. The black and white wallpaper! Dreamy. OOC is right, not to mention AMAZING architectural details! my goodness!